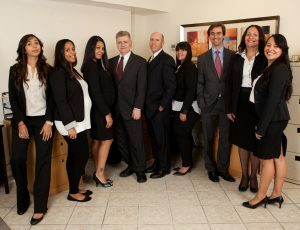 At the Law Office of Daniel Berger, we have represented individuals in Social Security disability cases since 1996. We understand the frustration and intimidation that can occur when filing. Our expert attorneys will walk you through the entire process so you never take a step alone. We protect your rights to ensure you get the compensation to which you are entitled. We will provide the support you need to help you through the process with a favorable result. Claims are awarded based on a single physical or psychological impairment or a combination or more than one impairment. In some situations, other factors may also be considered, including education, work history and age. We have the necessary experience required to read medical records accurately and understand the complexities of the diseases and injuries that qualify individuals for disability payments. We can help you get the appropriate documentation from your doctors and ensure the judge who decides your case completely understands your disabilities and the story behind it. We can help with all aspects of your claim, including routine matters, such as filing appeals on the appropriate timeline and completing the required questionnaires. We will gather the necessary medical records, reports and interrogatories for the best results. We understand these tasks can be difficult or potentially impossible for you, but we handle them every day. Our experienced staff is dedicated to making sure your claim goes as smoothly as possible. We can also answer any questions you may have along the way. Although working with us won’t necessarily help your claim be evaluated faster, we will keep tabs on the status to ensure it is moving forward as it should. We can help with all steps of the process, including appeals and appearing with you at any administrative hearings. We will explain what aspects are important before you go to court and ensure you know what questions to expect. If you are going through an appeal in Federal Court, we will create and submit the legal arguments you need and attend the in-person hearings if necessary. It is difficult for claimants without representation to fully understand the complexities of these proceedings, something a non-attorney representative can’t do. Our experience has taught us how the Social Security Administration determines the amount of your benefits. We know what factors the SSA considers. If you are approved, we will make sure your claim is paid quickly. We understand there are often issues collecting the proper amount of compensation, which is why it’s important to have us on your side to help. We strive to obtain the maximum amount of benefits you are entitled to. We won’t charge any fees unless we win.